Solution for iBooks Crash Problem. 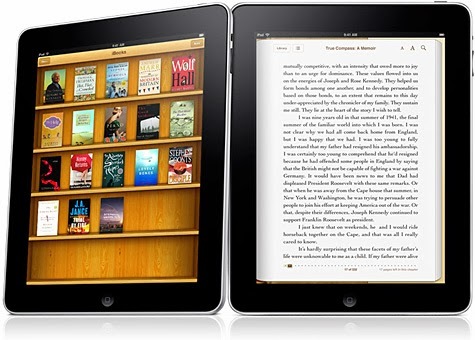 It is said that a lot of iPad users are readers – that’s why they bought the iPad in the first place. Well, if you are one of these users, then we have the perfect reader app just for you. It’s the iBooks. The iBooks app is just like a book shelf. It displays your books like they would on a real bookshelf. The solution to ibooks crashes problem is that there is no solution. Give up ibooks and install a non-Apple app called Goodreader. You have to pay but it costs next to nothing. Pretty easy to install if you followed the instructions on their website. And hey presto you have an excellent view of pdf documents and photographs etc. +tadaaaaaa no more ibook app crashing. The first thing that comes to mind os how to add books to a library like this. Well, it has its own bookstore. this bookstore is very helpful, it offers a wide range of books on different subjects, and finally, it offers some books for free. After downloading your favorite books come the best part. Reading. The iBooks app takes reading on to a whole new level. Whether you are a traditional reader, or a reader willing to try new experiences when it comes to reading, then you’re welcome to use the iBooks app. Are you the new type of reader who’s willing to take on new experiences? Then try reading an Enhanced Book. This is the book that offers interactive experiences while reading. The book could be narrated. The narrator could read good passages from the book. The app could pop out supplementary videos and other knick-knacks making the book more interesting as ever. These options are perfect for children. Imagine that you’re children are not interesting in reading books anymore, but wait till they see the videos, and the characters in the book moving and narrating the story out loud, almost like a cartoon already. The book is going to be so interesting to ignore any longer. Most of all, you don’t need to read books aloud anymore, because the book can read itself. With this, your child could read this book over and over again, and this could even help improve his reading skills, right? Now, if you’re the other type of reader, more like a purist one, and you want to enjoy the raw feeling of reading books the traditional way, then don’t fret. You could still enjoy this feeling with the iBooks app. You can hold the iPad like the way you would hold a real book. You could flip the pages. The font is still the same. The experience is just like reading the actual book – only better. You could still read inside a dark room with the bright LED display. Forgot you glasses? No problem. You could increase the book’s font size. Reading the book for a project or a review? You could take down notes within the book with iBooks. And lastly, who needs bookmarks when this app could remember where you left. First, delete the app. Do this by touching our icon on the Home screen until it gets all wobbly. An x mark would appear. Tap on it, and it would uninstall your app. Now, sync your iPad with iTunes. Find the options. Uncheck “Synchronize All Books”. Tapping on sync would erase your entire library from your iPad. Now after this, check “Synchronize All Books” again. This would reinstall all your books, and they should already be working perfectly. Finally, another solution for ibook app crashing could be putting your iPad into Airplane mode. Some books require network connections, and if you’re currently offline, this could send your app to crash. So to prevent this, put your iPad into Airplane mode. That should solve the iBook Crash problem. Post Tags:ibooks crashing, how do stop ibooks from crashing?, how to stop ibooks app from crash, ibook crash when press search, new pdf crash my ibooks, why does Apple books app keep crashing?